According to data from the Ryan White HIV/AIDS Program (RWHAP), people living with HIV who are temporarily or unstably housed have lower rates of retention in care and viral suppression. 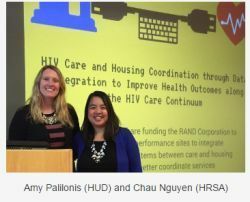 A new $3.6 million, three-year investment of resources from the Secretary’s Minority AIDS Initiative Fund (SMAIF) is supporting five communities in the implementation, utilization, and evaluation of integrated housing and HIV care data systems to enhance patient navigation and service coordination and improve health outcomes along the HIV care continuum. Learn more about the new HRSA & HUD initiative. Three out of four people admitted into treatment for substance use disorders started using alcohol or drugs before the age of 17 – but fewer than half of all pediatricians are currently screening for substance abuse in their young patients, two Harvard researchers say. 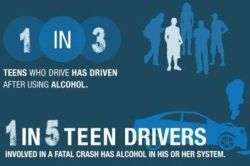 Further underscoring the urgent need for health care providers to get better at spotting the warning signs, as many as seven out of ten adolescent deaths may be attributable to alcohol and drugs. Busy pediatricians have only a matter of about 2-3 minutes in a typical 20-minute appointment with a teenager to make an evaluation, said Dr. John Rogers Knight, founder of the Center for Adolescent Substance Abuse Research at Boston Children's Hospital, in a recent webcast. Learn more about adolescent substance use screening and early intervention. The Office on Trafficking in Persons, within the HHS Administration on Children and Families, is launching a national social media campaign called Look Beneath the Surface to increase awareness of human trafficking violations among health care and social service providers. Human trafficking is modern-day slavery and the victims are men, women, and children of all socio-economic, religious, and cultural backgrounds. In 2015, the National Human Trafficking Resource Center identified 5,544 cases of human trafficking in the U.S. Learn more about human trafficking. We want to thank our 3,000+ grantees, program stakeholders, and others who help us administer more than 90 programs. 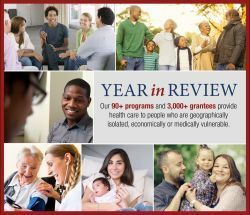 HRSA programs provide health care to people who are geographically isolated, economically or medically vulnerable. See HRSA's year in review infographic. (PDF - 1 MB). 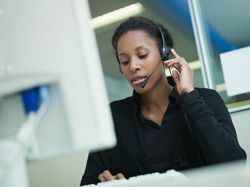 HRSA’s Office of Federal Assistance Management (OFAM) is conducting webinars in January to share grant-related news and review the HRSA grants process. HRSA grant experts will be on hand to answer questions at the end of each session. Two identical sessions are being offered to accommodate grantees in different time zones. The presentation will be available for download about two weeks prior to the first session. Both sessions will be recorded and available on the HRSA website about a week later.